This is a very simple dish that eats well hot from the oven, at room temperature or chilled. It is a very versatile dish to have in your repertoire as it works well as a starter especially for a vegetarian dinner, or as a light lunch as served hear with a little salad and shaved parmesan, but it is also a perfect picnic basket ingredient, served with crusty bread, salad and a nice chilled sauvignon blanc. The sweet flavour of the pepper are further enhanced by the long slow cooking, this along with the garlic, basil and Goat’s cheese help to intensify the flavour of the pepper. Cut the peppers in half cutting through the stalks, these lot good for the final presentation of the dish. Remove the seeds and white membrane with a small sharp knife. Lay the peppers cut side up onto a tray and season with maldon salt and cracked black pepper. 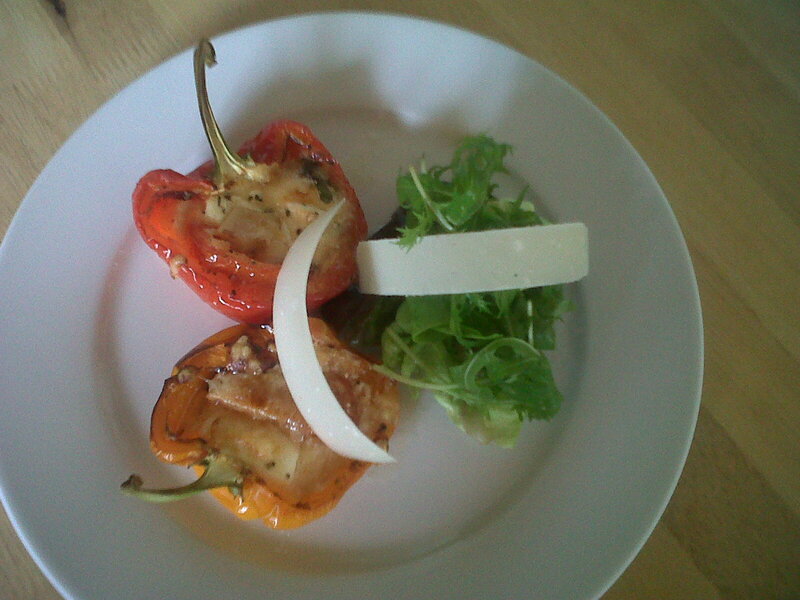 Place a whole, sliced garlic clove into each pepper half; place a basil leaf on top. Place a quarter of tomato, then top with goat’s cheese, sprinkle over parmesan cheese and season to taste. 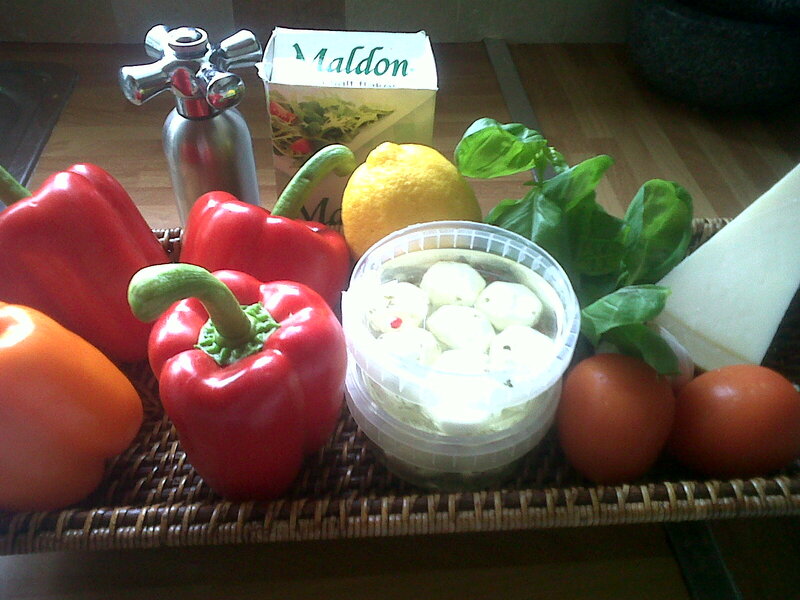 Cover a baking tray with tin foil, place the peppers onto the baking tray and drizzle with olive oil. Place the peppers into the pre heated oven and cook at 140c for 45-50mins, it is this slow cooking that makes this dish so delicious. Remove peppers from the oven and allow and stand for 10mins. Serve with a simple dressed salad and shaved parmesan.